Heart Starter Senior A – J. Hogan, J. Currie, E. Birrane, M. Young. Heart Starter Senior B – M. Schmidke, S. Hennessy, D. Drake, J. Bessell. Heart Starter Senior C & D – S. Johnson, P. Fountas, A. Hill, D. Slater. Heart Starter Junior 1 – E. Walker, M. Liebeknecht, H. Barton, A. Simpson. Heart Starter Junior 2 – J. Currie, M. Wills – Hell, C. Johnson. Heart Starter Junior 3 – S. Lennon, L. Underwood, R. Underwood, L. Schmidke. 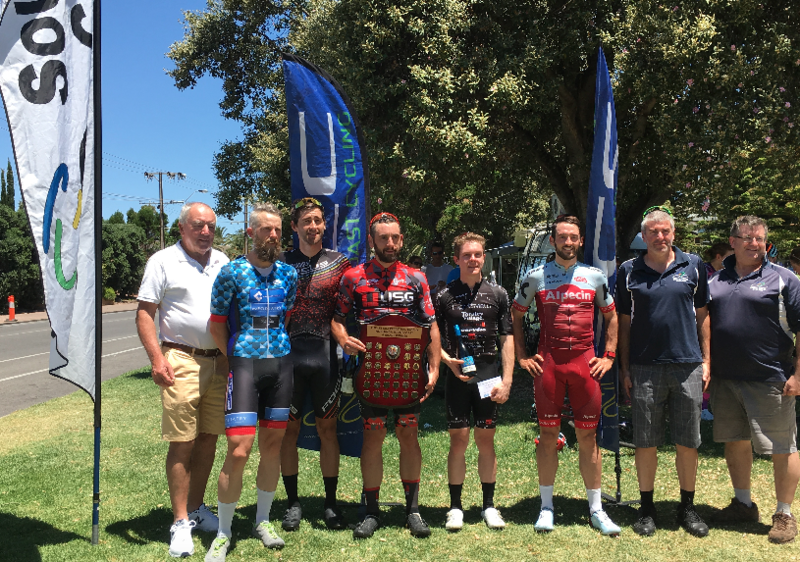 Senior A Grade Handicap – M. Young, D. Radzikiewicz, B. McIntyre, A. Gwiazdzinski. Senior B Grade Handicap – S. Hennessy, J. Kelly, D. Miller(Can), D. Drake. Senior C & D Handicap – P. Fountas, L. Fleming, T. Simpson, A. Hill. Juniors Handicap – S. Lennon, S. Wills – Hell, L. Underwood, R. Underwood. Junior Handicap – M. Liebeknecht, E. Walker, A. Simpson, H. Barton. Junior Handicap – M. Wills – Hell, D. Barton, W. Mathwin, A. Kelly. Junior Handicap – S. Lennon, R. Underwood, L. Schmidke, L. Underwood. Senior Handicap 2 laps A Grade – J. Hogan, D. Radzikiewicz, A. Gwiazdzinski, B. McIntyre. Senior Handicap 2 laps B Grade – D. Miller(Can), D. Tattersall, S. Hennessy, D. Drake. 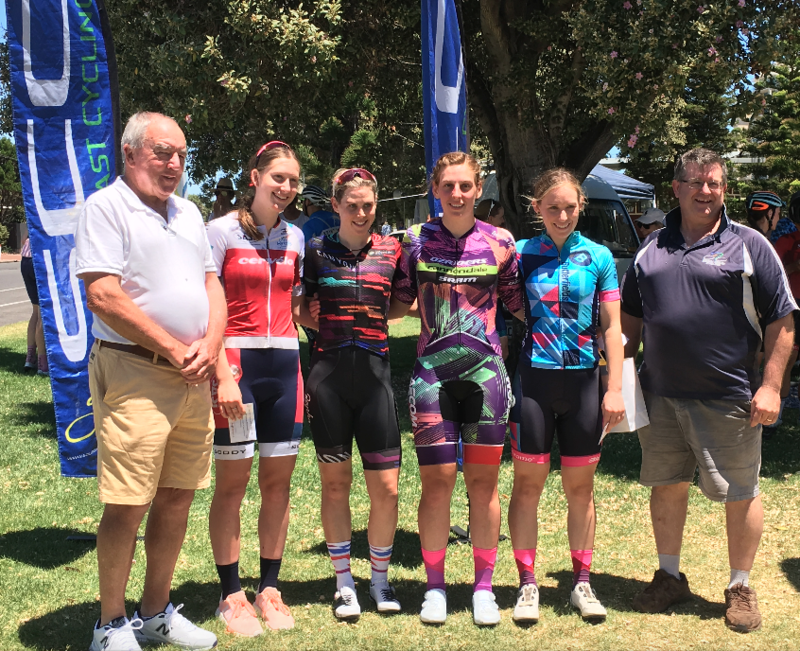 Senior Handicap 2 laps C & D Grade – T. Simpson, L. Fleming, P. Fountas, A. Hill. Junior Handicap 2 laps – M. Wills – Hell, W. Mathwin, M. Wills – Hell, A. Kelly. Junior Handicap – J. Currie, M. Wills – Hell, C. Warren, C. Johnson. Junior Handicap – S. Wills – Hell, L. Underwood, S. Lennon, R. Underwood. 00:00.00 – S. Hennessy, P. King, D. Radzikiewicz, M. Young, B. McIntyre, J. Currie, M. Schmidke. Winner – J. Bessell, J. Kelly, D. Bottrill, D. Miller(Can), D. Drake, J. Currie, J. Currie. Winner – G. Zlatkovic, A. Simpson, T. Simpson, D. Slater. 00:00.00 – P. Fountas, L. Fleming, S. Johnson, A. Hill. Winner – H. Barton, E. Walker. 00:00.00 – A. Simpson, M. Liebeknecht. Winner – P. Earl, L. Underwood, L. Underwood. 00:00.00 – S. Lennon, R. Underwood, S. Wills – Hell. A Grade Motor Pace 8 laps – J. Hogan, J. Currie, E. Birrane, M. Young. B Grade Motor Pace 6 laps – D. Drake, M. Schmidke, J. Bessell, D. Tattersall. C & D Motor Pace 5 laps – E. Walker, S. Johnson, A. Hill, P. Fountas. Junior Scratch – J. Currie, M. Wills-Hell, C. Warren, C. Johnson. Junior Scratch – S.Wills-Hell, L. Underwood, S. Lennon, R. Underwood. South Coast Cycling is back on newly resurfaced Edwardstown velodrome. Hope to see you all make to the new track for training and racing. Please note that there will be no toilets available on site for the training session on the 14 and 15 March, however they will be open for Sunday 17 March. The bar / community areas will not be open for Sunday 17 March but will open gradually with full operations on April 6th. Please respect that this is a new construction and we are getting to use the facility before the official opening on the 13 April. Thanks to everyone involved for a great weekend. Nominations: Entries up to 11.30 pm 21 January 2019 Senior (Open, U19, Masters) $30 and Junior $20 all nominations include fees. If you don’t already have a account/profile with EnterBoss you will need to Sign up and create one. If you are interest in travelling down by bus , please email Catherine ASAP to secure your seat on the bus , luggage room in the trailer and bed for the night. – the cost of the bus hire and accommodation will be shared amongst those travelling and supported by SCC fundraising activities. If you are able to support this event with sponsorship small or LARGE please contact Catherine by email. All SLS & Junior Criterium results are within the program results at the top of the list above.